The Venture team relocates to New York City, The Monarch gets a sketchy new job, and Dr. Mrs. The Monarch takes over the Council Of Thirteen. And, predictably, none of it goes well. I have always enjoyed this series, but this season really feels like a return to greatness. It feels more focused, the laugh-to-joke ratio is higher, and the writers keep things moving. The humour is sharper and less juvenile, and the continuity stronger. This is the season it all became… dare I say… nearly perfect. It turns out that a switch in locale was just what was needed to give the show a fresh perspective, while still sticking to what made it great all along. There has always been a sense of the writers making the show’s chronology up as they go along, but by now they have a firm grasp of who these characters are and how they got there. Now, they are all the more focused on delivering the next chapters of their sordid tale of failure, redemption, and more failure. The most important thing to know regarding watching this set is to GO FIRST TO THE BONUS FEATURES. The first episode in this set chronologically can be found there, as it was really a special one-hour episode that aired in-between Seasons Five and Six, in January of 2015. In All This And Gargantua 2, really major things happen that alter the show’s status quo in significant ways. I admit that I failed to watch the special first, though I did watch the included recap of Season Five (also included in the bonus features), and assumed that I had only forgotten the events that ended season five, since that Blu-ray set came out about 30 months ago. The big change in season six is that the Venture family has moved to New York City, and now occupy a building in the heart of the city. Meanwhile, Brock has been re-assigned by the OSI to be bodyguard to the family, and Dr. Venture’s arch-enemy, The Monarch, has moved back to his childhood home in New York City with his wife Dr. Mrs. The Monarch and their faithful henchman, 21. The Council of 13 has reconvened with far fewer members, led by Dr. Mrs. The Monarch, as it faces new challenges including a villain killer. 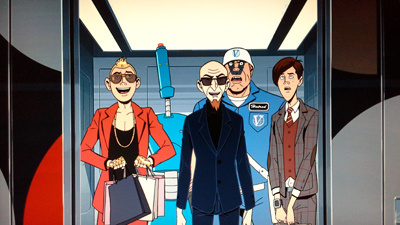 Dr. Venture finds himself in swanky new digs in Hostile Makeover. Though he is newly rich, his problems come nowhere close to ending, as he is targeted by a super protection racket, his son Hank begins to fall for the daughter of a supervillain who lives across the street, and said villain gains arching rights for Dr. Venture. Meanwhile, The Monarch has sunk to new depths, moving into a ratty old building previously owned by his father. As he and 21 get comfortable watching reruns and hanging out in their bathrobes, Dr. Mrs. The Monarch leads the new Council Of Thirteen (give or take a few supervillains). … which leads us to Faking Miracles, where The Monarch comes to terms with his dad’s past secret life as a vigilante hero, The Blue Morpho. 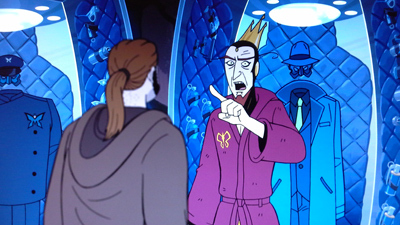 Of course, 21 thinks it is all very cool, but The Monarch is kind of devastated to find out that his dad was an ally of Jonas Venture, Sr. To make matters worse, The Monarch is framed by another supervillain, who made it look like The Monarch has been illegally arching Dr. Venture; and The Monarch gives his wife all sorts of real reasons to be angry. On the plus side, Hank gets to know Sirena better after delivering pizza to a villain party at her dad’s place. The Monarch embraces his destiny in Rapacity In Blue, assuming the identity of The Blue Morpho, with 21 at his side as Kano. He has not turned good, however. 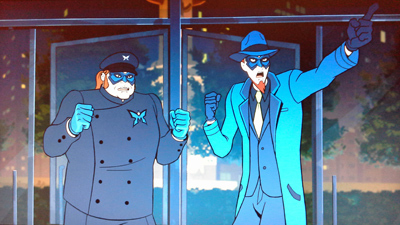 Instead, Morpho is only a cover for The Monarch’s plan to knock off all the supervillains in line ahead of him for arching rights to Dr. Venture. 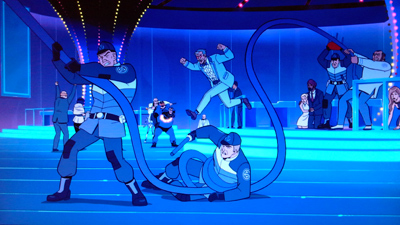 As The Blue Morpho, he intervenes in an arching attack at Venture Industries, saving the Ventures and eliminating his first supervillain target. However, this will attract the attention of the Council Of Thirteen, while also making things awkward with his wife as he tries to conceal his new identity. Meanwhile, Brock begins an affair with a superheroine named Warriana. 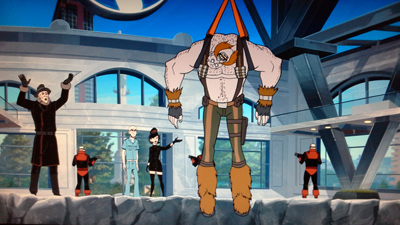 Dr. Venture gets arched by a new villain in Tanks For Nuthin’, while Dr. Mrs. The Monarch investigates the last one’s death. 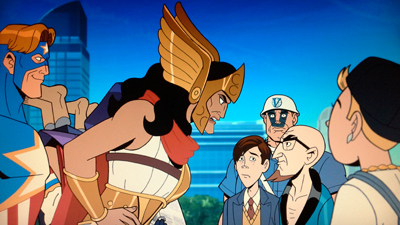 When another villain falls, she knows her true enemy, or so she thinks, as Dr. Venture is mistaken for being The Blue Morpho. Yet more arching happens in It Happening One Night, and Dr. Venture is annoyed to no end. Even worse, the arching villains are an avant garde group known as The Doom Factory. 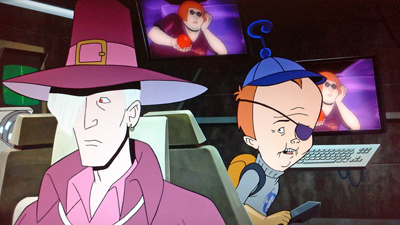 Dr. Venture is initially taken in by their artsy-fartsy ways, until they rob him of any and all tech that he had lying around. Hank has a better night, as he takes Sirena out, and has help from brother Dean, Billy, and Pete to impress her. And The Blue Morpho has his most stunning victory yet, if a little by accident. The Guild makes the fateful decision to take down The Blue Morpho, with the reluctant Dr. Mrs. The Monarch being given the chance to deliver the killing shot. 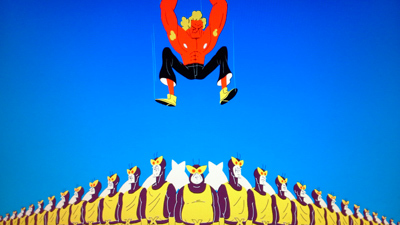 We then flash back a day or so to Dr. Venture’s efforts to become popular and gain society cred by attending a party and befriending actor Christopher Lambert— hence the title for this episode, A Party For Tarzan. Somehow, he ends up in Blue Morpho’s suit, causing no end of confusion. Another flashback takes us further back to learn the secret origin of 21, even as, in the present, 21 takes on Morpho’s identity to divert suspicion from The Monarch. Things don’t quite come to a head in Red Means Stop. It does get a little epic, with The Guild desperately teaming with OSI to take down The Blue Morpho at Venture Industries, but they all have a party instead when Morpho doesn’t show up. Monarch/Morpho instead hatches a plan to extort the last name on his victim list, Dr. Venture’s current arch: the very scary Red Death. As nothing goes right in all the wrong ways, Dr. Mrs. The Monarch swears to end the career of The Blue Morpho once and for all….! 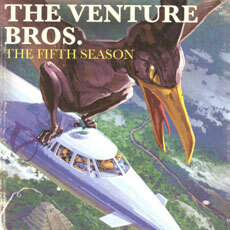 … which, I guess, will happen when The Venture Bros. comes back to television. Sometime in 2017 or 2018. The wait for this one is going to hurt. Aside from the special, there are only eight episodes in this season, which is a shame. Just as things really get going, the season comes to a sudden stop, with no sense of closure. There is apparently a good reason for that. 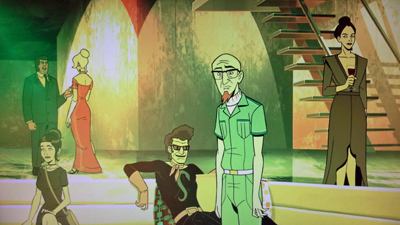 It has been reported that the creators (Doc Hammer and Jackson Publick) didn’t feel like they had yet earned the two-part finale they had planned, and needed to flesh things out more, so they ended the season without getting to their ending, having written two others episodes instead. This is similar to what happened last season, which explains how that Gargantua special ended up airing between Seasons Five and Six. There is still the possibility of the Season Six finale being broadcast as a special, well before season seven premieres, otherwise we could be waiting a year or more to see how Season Six actually ends. That should not count against a purchase of this Blu-ray set, though. 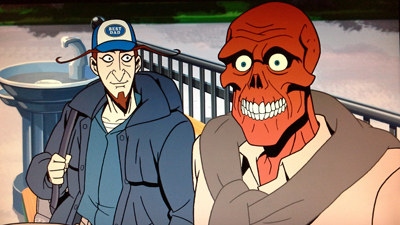 The Venture Bros has never been better. 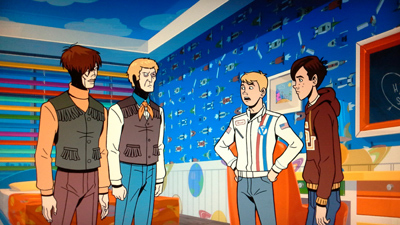 This season is all sorts of fun, with a season-long story that keeps its momentum going better than in any previous Venture Bros. season. It’s just too bad it had to come to an end before its really concluded. As I said, first you MUST watch the special All This And Gargantua 2 (50:56), which can be seen as either the Season Five wrap-up, or the prologue to Season Six. It is here that we see the final stand of The Sovereign, as he collides with the OSI, a Revenge Society led by Phantom Limb and Killinger, The Investors, The Monarch, the original Team Venture, and of course the current Venture team, all aboard J.J. Venture’s huge space station. 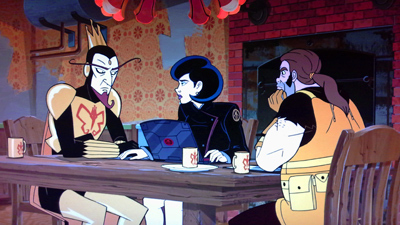 Following lots of deaths, altered allegiances, more deaths, and a surprising epilogue (originally posted online), the whole status quo for The Venture Bros. is upset. Upset, but awesome. Okay, now you can go back and view Season Six. Note that the special has been censored for language, containing the bleeps from the TV broadcast. Or, you could first watch the Season Five Recap (5:22), which effectively covers all the ground leading up to Season Six, including the Gargantua special. The recap is narrated by 21, so it is naturally amusing, even if you are already up to speed. There are enough Deleted Scenes (17:01) to make almost a whole other episode. The scenes are presented largely as animatics (with some finished animation), and include scenes from the special. These are mainly scene extensions, with a couple of alternate openings, featuring some interplay with the Monarchs, plenty of Sgt. Hatred, and lots of bits with various supporting players. 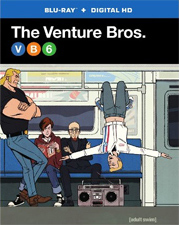 I’ve never been much of a fan of the Venture Bros. Creator Commentaries, as they tend to go way off topic, but if you have enjoyed them in the past you will be pleased to know that they are back, for every episode including the special. Finally, there are five [adult swim] ID Tags featuring the Venture characters, lasting a few seconds each, using interesting graphic design. 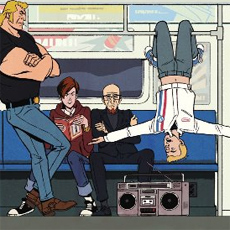 We have seen some clever packaging for these Venture Bros. discs in the past, and this time we get a New York subway theme for the slipcase. It’s cute, though it falls far short of “cool.” The case inside has a lovely montage of scenes and characters from this season, done in a 1960s anime style. Now that is cool. The single disc holds all eight episodes plus bonuses. 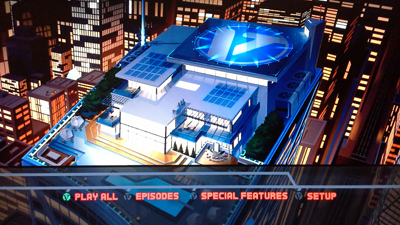 An insert has an episode list that carries over the subway transit theme on one side, and more montage on the other. There is also an insert with a Digital HD code. This continues to be one of the slickest looking shows on television, and the Blu-ray does it justice. With nary an instance of banding, no one should be disappointed in these colourful, striking episodes, presented in their 16:9 television ratio. Warner springs for a DTS-HD Master Audio track, and it sounds great. There are lots of surround effects, and plenty of power in the soundtrack. This is an active mix, and adds to the big-budget sheen on the show. No other language options are to be had, but there are English subtitles for the hearing impaired. It should be noted that these episodes are uncensored, so every swear word is heard. If only [adult swim] had ordered another two episodes for this season, we could have had a truly epic story. (Or, I suppose, if only the creators had planned ahead enough to pace it to the proper length!) This is the most cohesive season yet, with each episode contributing to its storyline, a serialized tale of deception, rivalry, confused identities, and (as usual) lots of failure. This isn’t just a cynical take on pop culture, though. 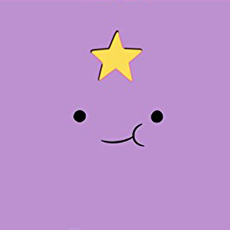 This series is one of the funniest (and often sweetest) on television. The humour this time around is also consistently in better taste than we have sometimes seen, so nothing detracts from one’s enjoyment. This team of creators is on a roll, and I can’t wait to see what happens next.